Manufacturer of a wide range of products which include non woven pulses bag. We have established our name in the manufacture of different kinds of bags to fulfill different house hold need. 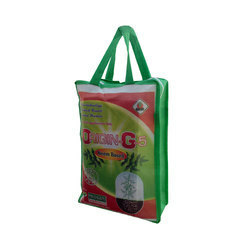 Non Woven Pulses Bag is a product which is highly user friendly and ecology supporting. It is processed using advance processing techniques at our infrastructure. Special efforts are taken by our experts to maintain the hygienic working conditions. Looking for Tur Dal Bag ?